← La Fuente Mexican Restaurant Donates $1000 to FLATS! FLATS will host a fundraising ride on September 17th in the evening, following Red Barn Arts and Crafts Festival. 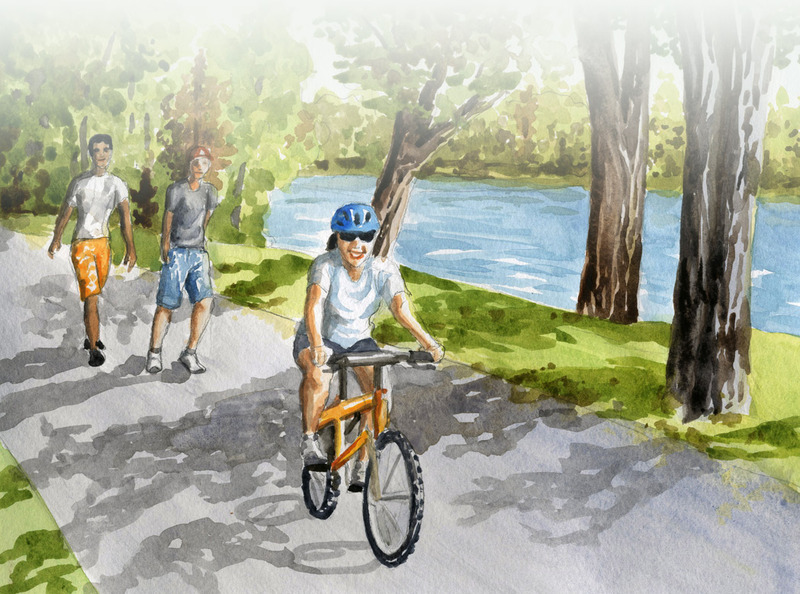 The Sunset Bike Ride and Walk will be a leisure ride and walk that utilizes the City of Kirksville’s existing bike trails and lanes. The event begins at 6:30pm at the Adair County Family YMCA with registration at 5:30pm. Cyclists will complete a 6-mile loop along Cottage Grove Avenue and walkers will complete 2 laps of the trail surrounding Kirksville Schools. Special pricing is available for groups–so plan to bring your organization out for fitness fun! There will be a drawing with prizes from several great local businesses immediately following the ride and walk and participants will receive a free water bottle for their bike as long as supplies last! This event promises to be a family favorite–while providing funding for the Forest Lake Area Trail System project! Please join us!